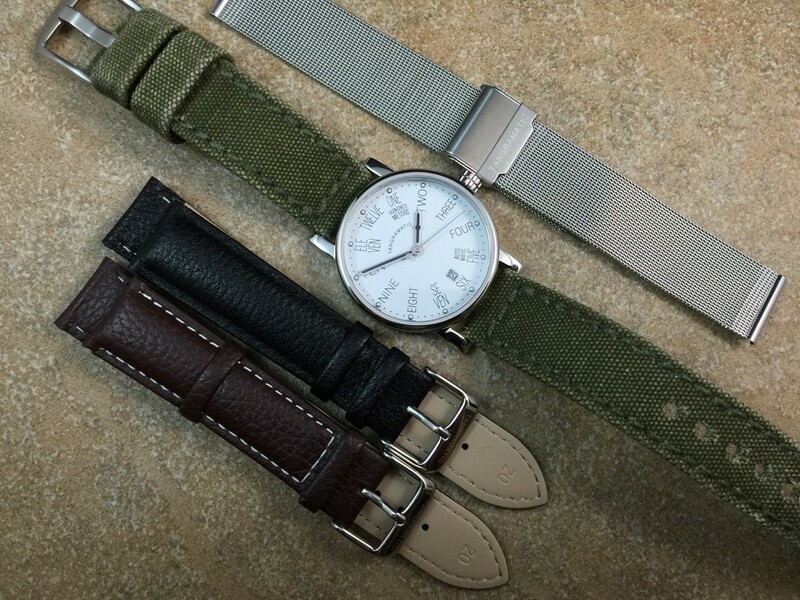 Bauhaus watches have minimalistic designed cases and while I would still consider the 39A case still minimalistic and not flashy, the case has an art-deco, multi-layer, multi-finish construction. 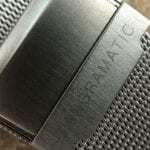 The case is composed of 316L stainless steel with the aforementioned multiple finishes. 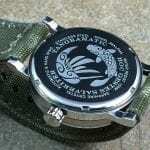 The case measures 39mm and 43mm including the crown. 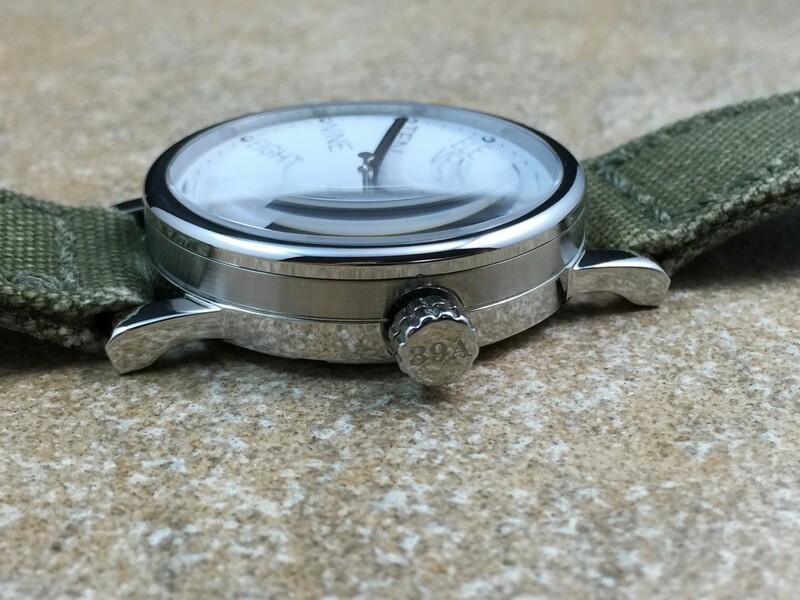 While the case may be small to those that prefer at least 40mm or larger watch cases, the long lugs contribute to a 49mm lug tip to lug tip measurement, which will satisfy many of those with larger wrists. 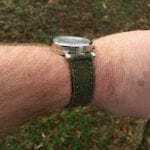 I can attest with a 7-¾ inch wrist, the design works well and feels right at home on the wrist, even though I tend to prefer slightly larger timepieces. 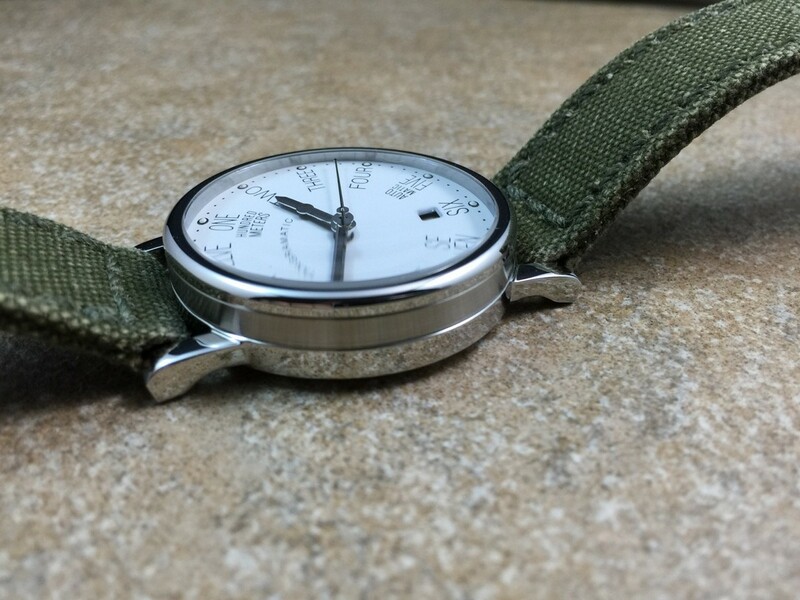 With this timepiece I was still unable to obtain a precise measurement, due to difficulty with caliper placement, the lugs are somewhere over 9mm in overall length but less than 10mm. 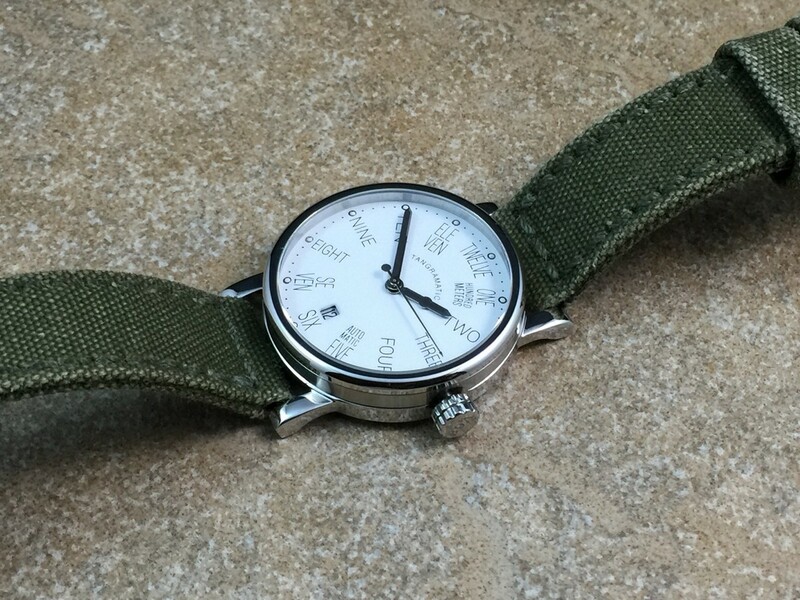 The only aspect of the case design which I would have preferred a slight modification, would be on the lugs with the addition of drilled lug holes for easier strap changes. 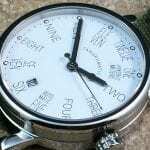 However, drilled lug holes would have an impact on the overall cost of the timepiece making it a bit more costly. 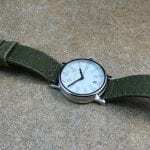 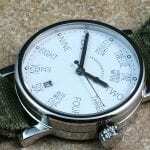 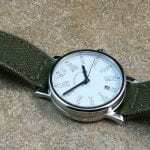 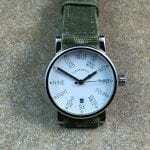 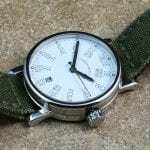 Many Bauhaus style timepieces tend to be on the ultra-thin side in relation to case thickness. 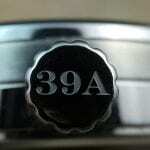 The 39A is definitely a bit chunkier at 12mm to the peak of the domed crystal. 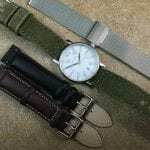 However, even at 12mm, the watch will rest quite comfortably under a dress shirt cuff in turn, making the 39A a perfect accessory in the executive boardroom or a night out on the town. 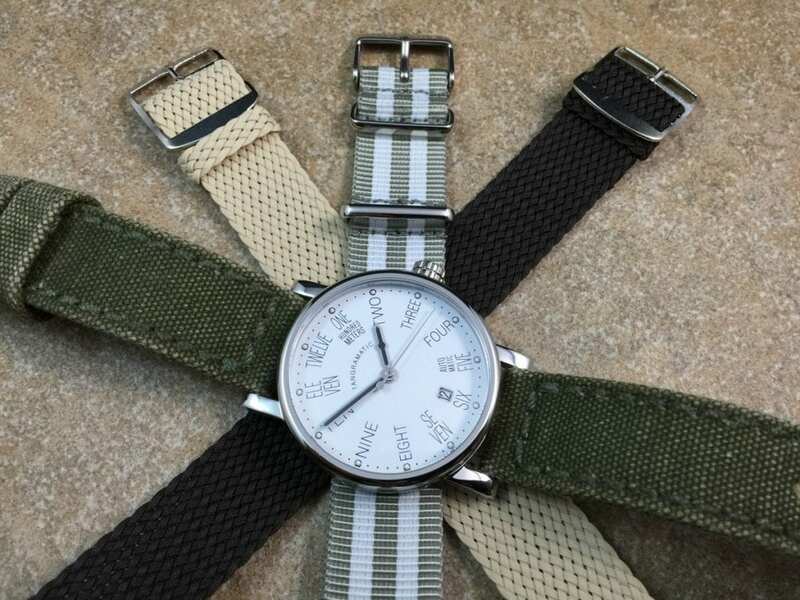 As one might expect, the watch has a rather pedestrian weight of 80 grams, with the watch having a rather thick custom canvas strap installed, so combined with the other case specifications, will feel quite light and comfortable on the wrist. 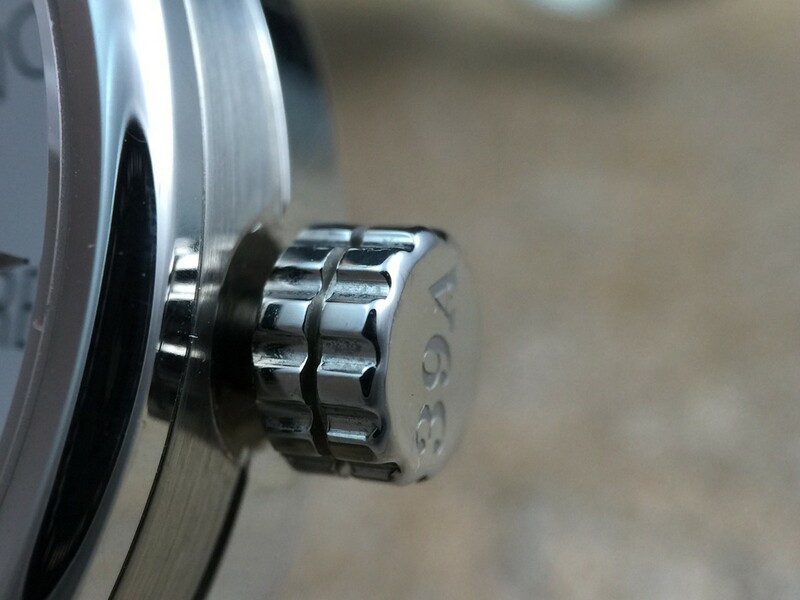 A 6.5mm push/pull crown is located at the 3 o’clock position on the case. 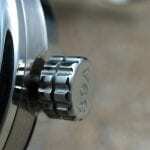 The crown has the model designation etched on the face. 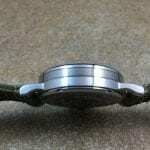 The crown is extremely easy to grasp and engage due to the nice machining around the edge. 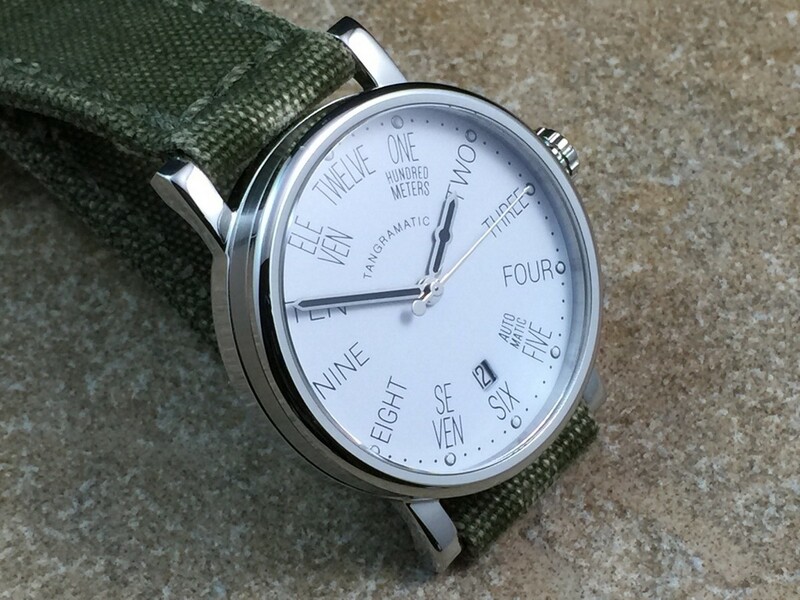 The crown is perfectly proportionate to the other case dimensions and even larger than crowns on similar Bauhaus style watches. 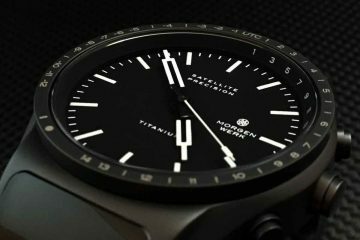 The non-crown side of the case is very plain and simple, keeping with the minimalistic design, as well as, providing a great view of the multi-layer, multi-finish case design of the watch. 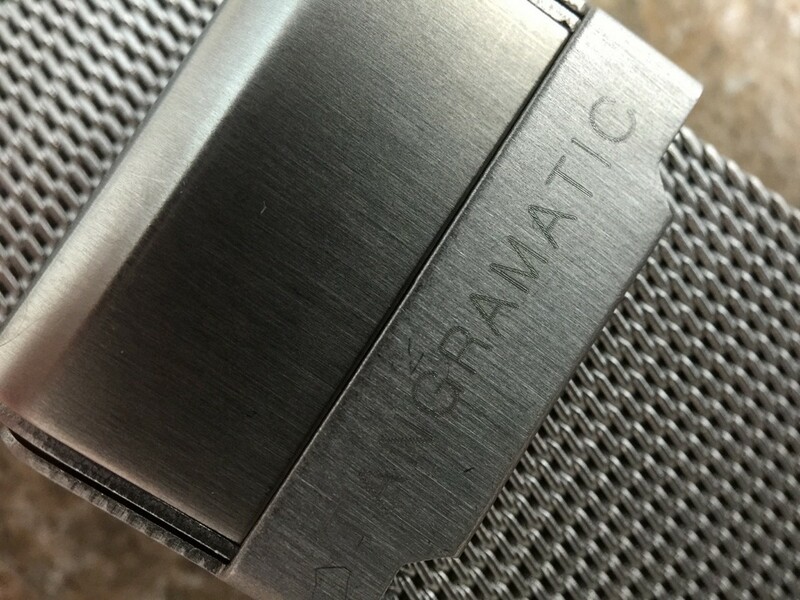 Keeping with the minimalistic design, I am pleased that Tangramatic did not over brand the 39A case outside of the etching on the crown face. 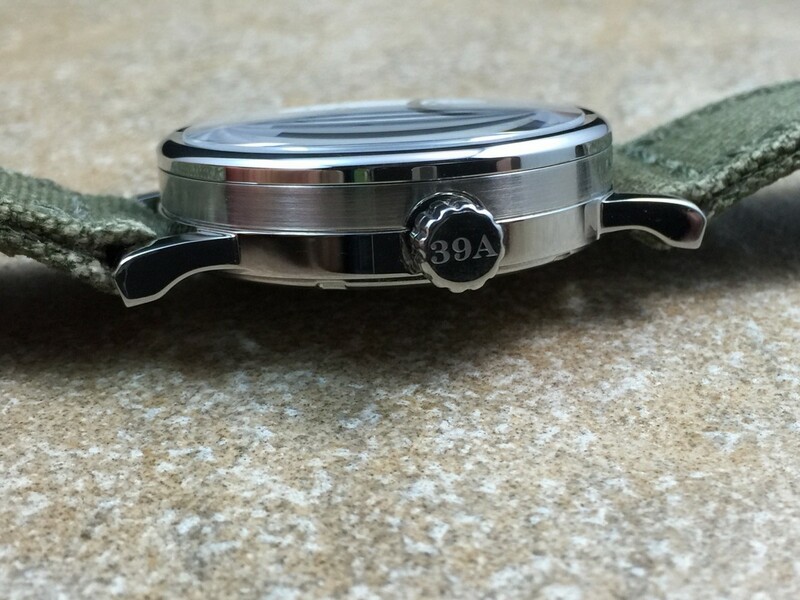 The 39A is fitted with a domed sapphire crystal measuring 34mm diameter which provides a very clear view of the dial due to a quality interior anti-reflective coating. 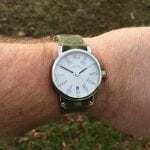 The crystal is ever so slightly raised above the bezel, however, I do not believe anyone should have any concern about the crystal chipping. 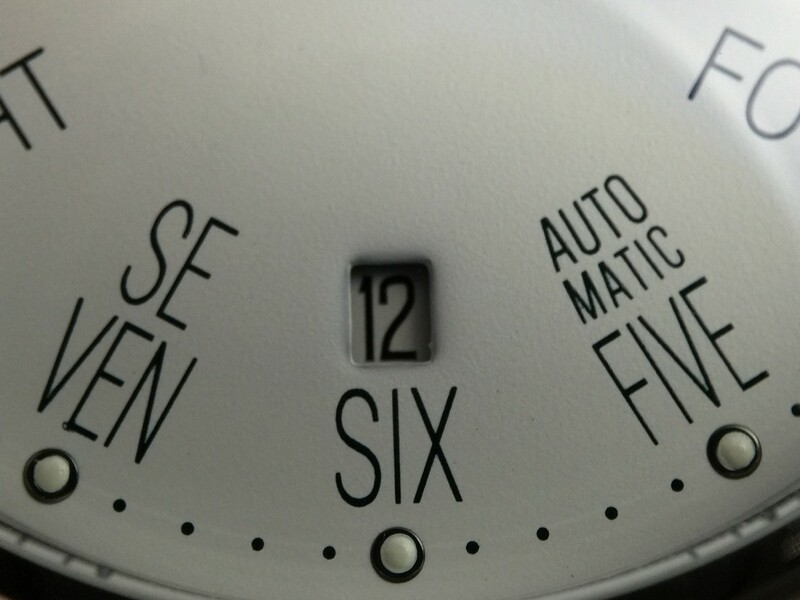 Beneath the sapphire crystal is a rather unique white dial. 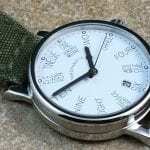 Bauhaus timepieces of the past, if you look at original designs, were extremely plain with rather bland font types and minute markers. 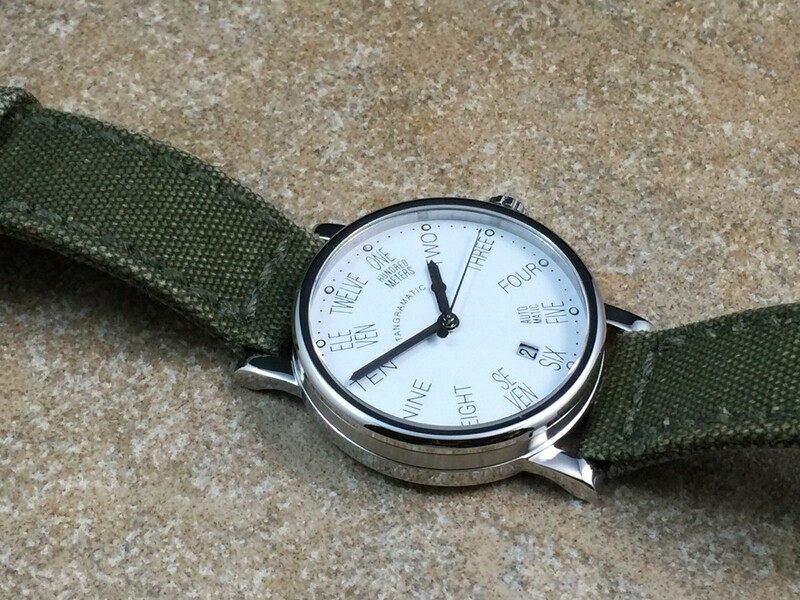 When you look at the 39A Bauhaus, rather than a typical numeric Bayer font type, a more modern approach has been utilized, making the dial appear quite a bit more playful. 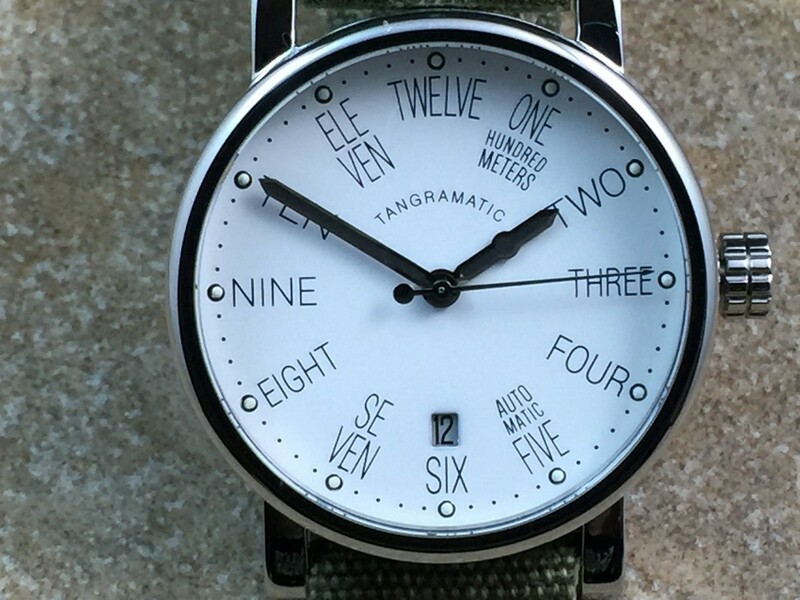 Rather than numerals, Tangramatic chose to spell out the hours which is unlike anything I have seen before. 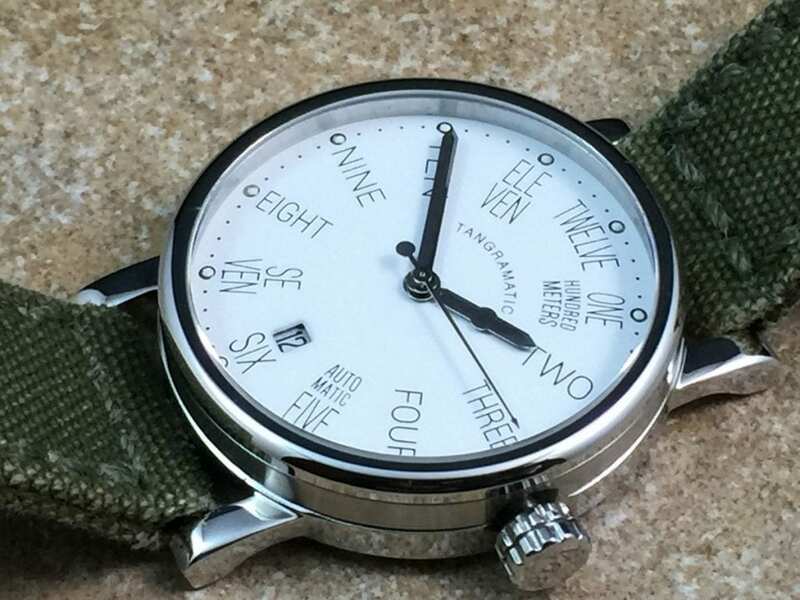 The combination of the “art-deco” case and modern approach taken with the dial layout make the 39A Bauhaus extremely unique in regards to other Bauhaus watches on the market. 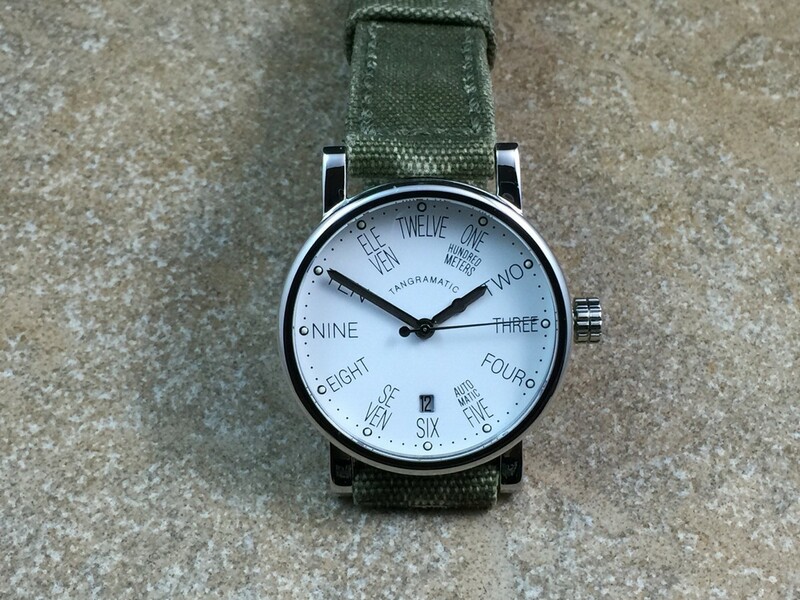 Outside of the time, the only complication on the 39A is a legible date window located just above the 6 o’clock position on the dial. 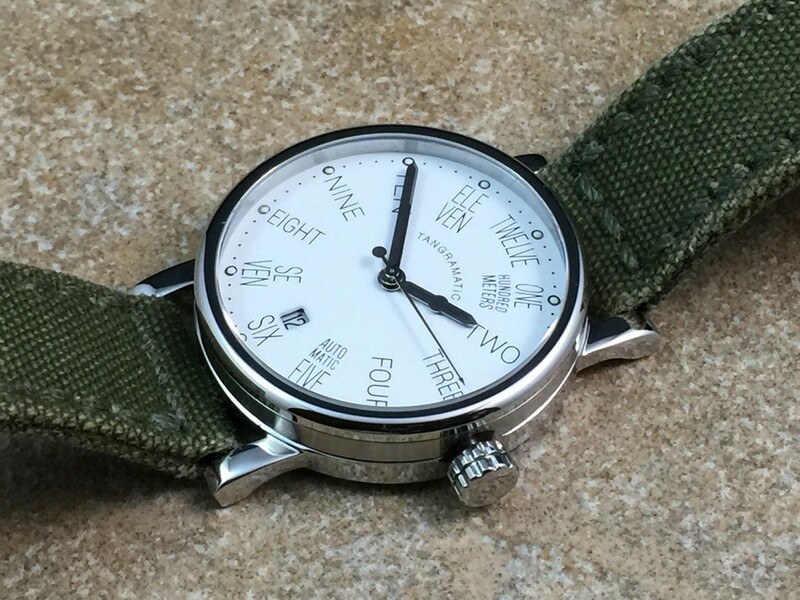 The 39A does have a bit of lume around the dial which isn’t something always found on Bauhaus style watches. 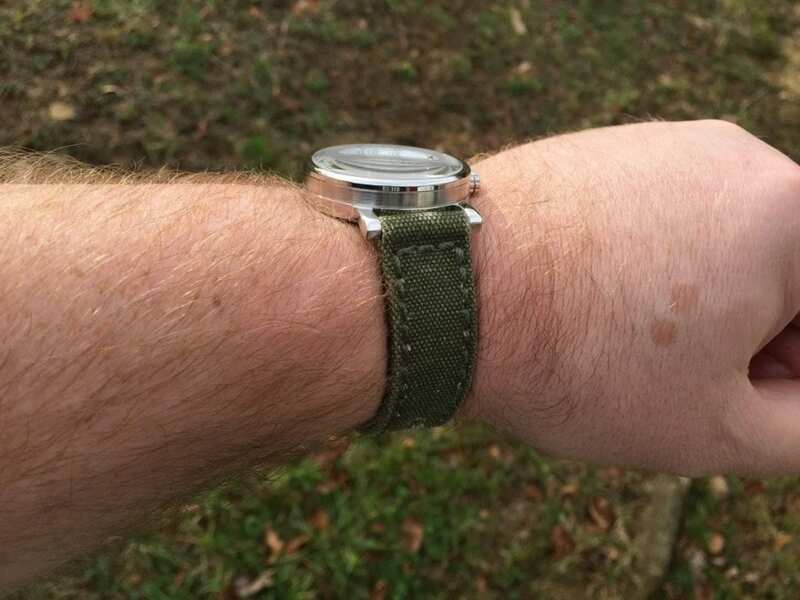 C1 white superluminova has been applied to small dots outside of the hour indicators. 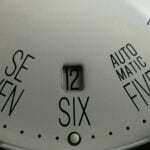 Rather than using white lume on the handset, another modern approach was taken with the use of a black or grayish lume. 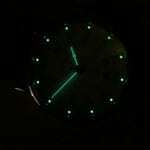 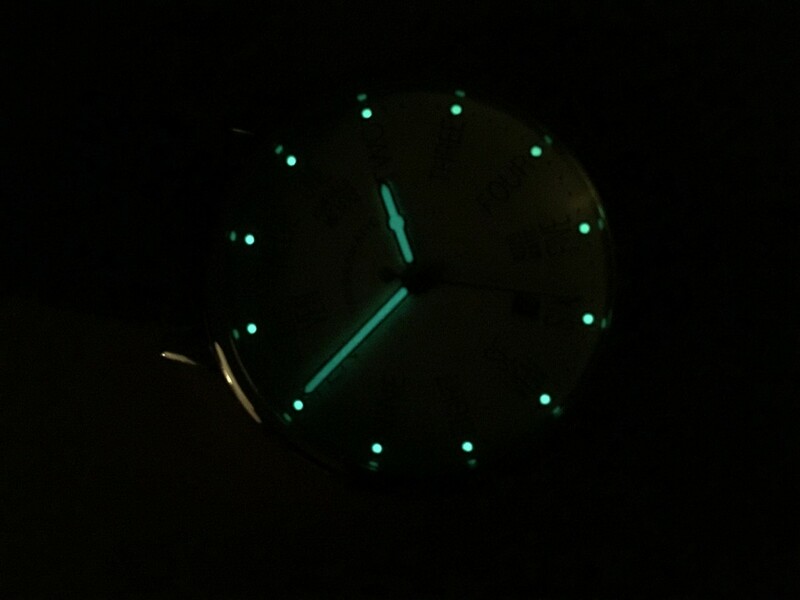 C1 lume doesn’t typically have any significant longevity and is no different in this particular instance. 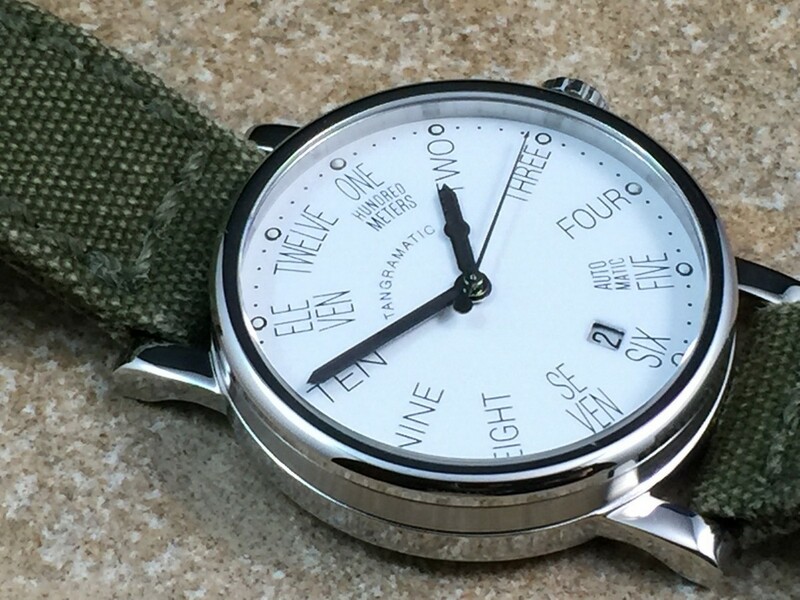 Being a Bauhaus style watch lume in my opinion is completely unnecessary, however, I have to admit I appreciate the effort and the way it has been applied to the 39A. 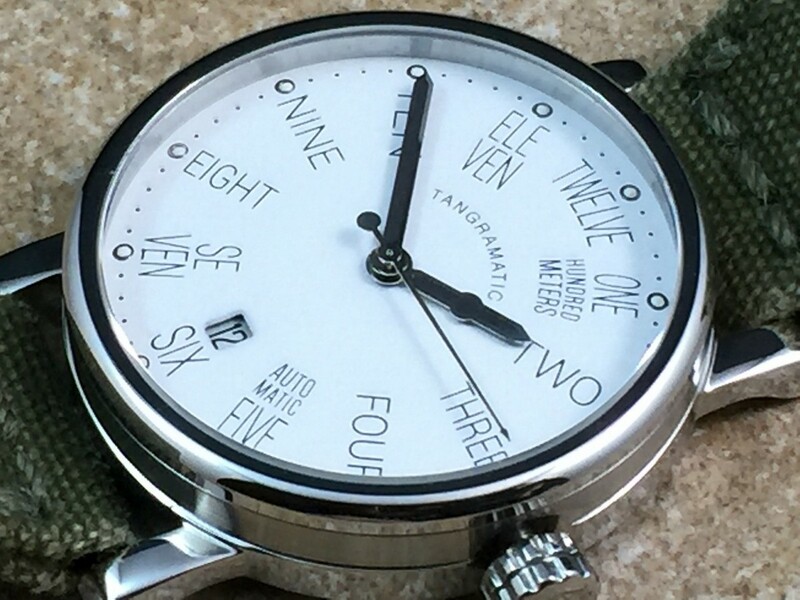 Rather than using the more expensive ETA automatic movement, Tangramatic opted for the very reliable Miyota 9015 automatic movement for the 39A Bauhaus. 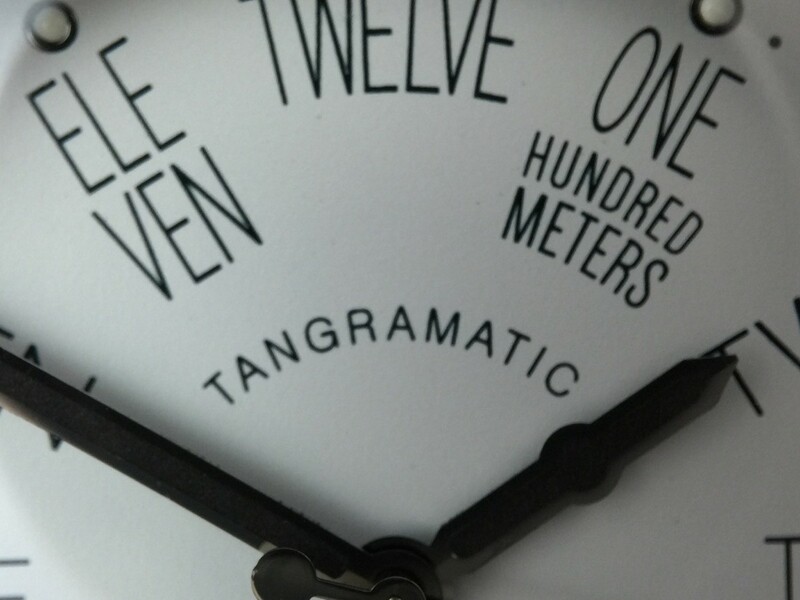 By using the Miyota, Tangramatic is able to keep costs much lower while still providing a quality movement to the consumer. 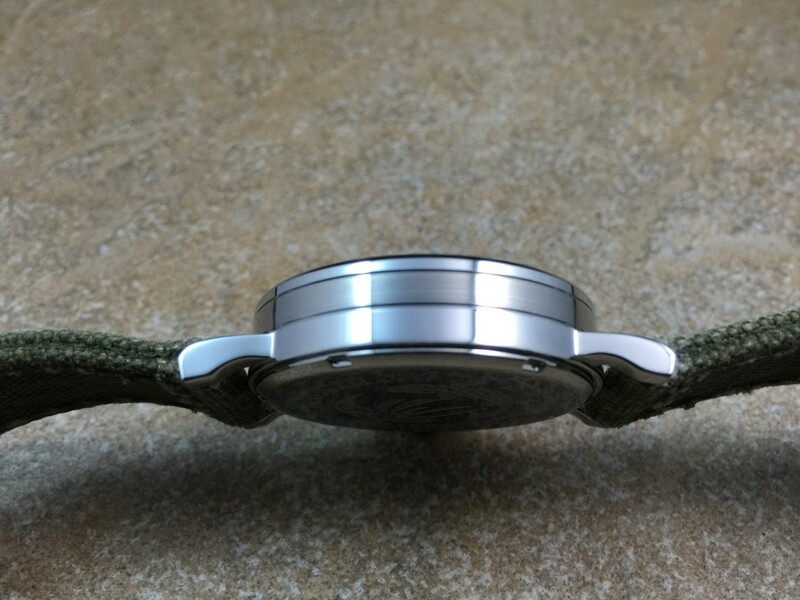 I have to say I would have enjoyed a display case back showing off the Miyota which isn’t a bad looking movement. 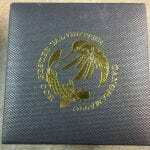 Of course, with a display case back, the cost would be impacted slightly. 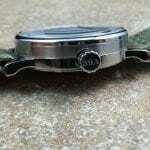 So in this instance, covering the movement is a sold stainless steel screw down case back. 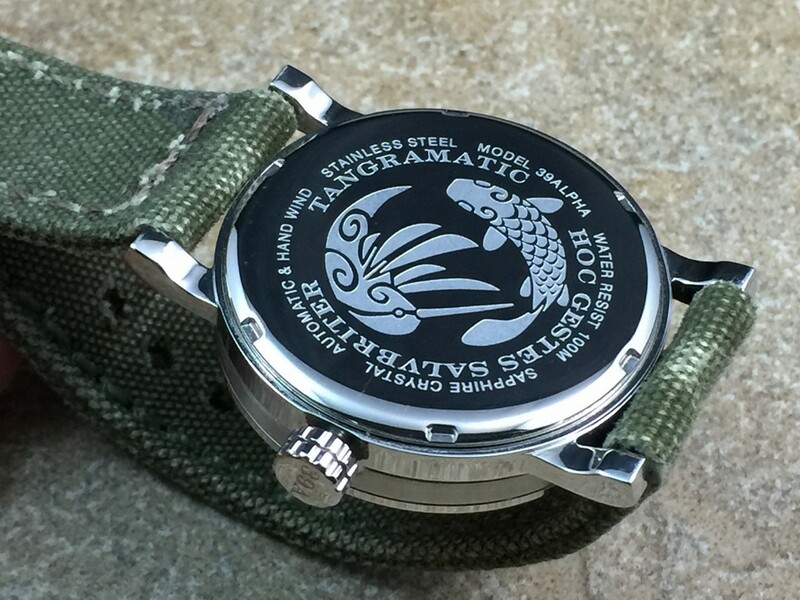 The case back has the typical specification information about the watch etched around the perimeter with curious engravings of a fish and a hummingbird at the center. 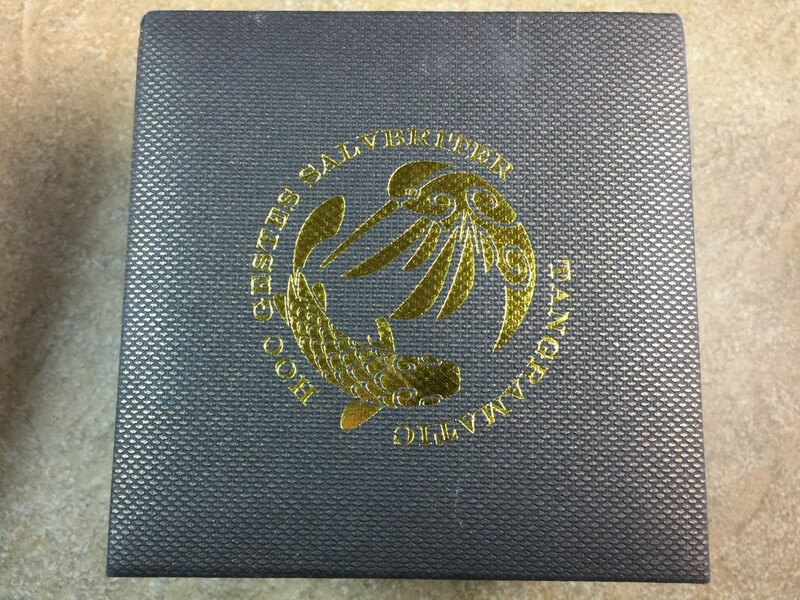 The other curious engraving is a Latin phrase meaning, “May You Wear This in Good Health.” This is a pretty cool case back, but again, I would enjoy seeing the movement. 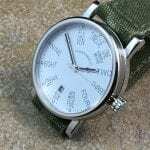 Of course, that is just my personal preference. 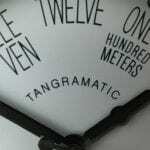 Now when it comes to strap choices, Tangramatic provides quite a few options. 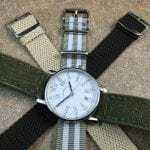 Currently, on their website, it appears that outside of the mesh bracelet, other choices are unavailable. 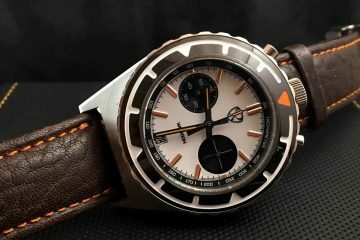 The photographs will illustrate the various options the company had available at one point and may be able to provide in the future. 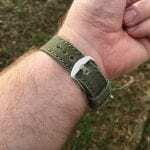 I am not a huge fan of stock straps in most instances, so I opted to show off the 39A on an awesome custom canvas strap from Vintager Straps. 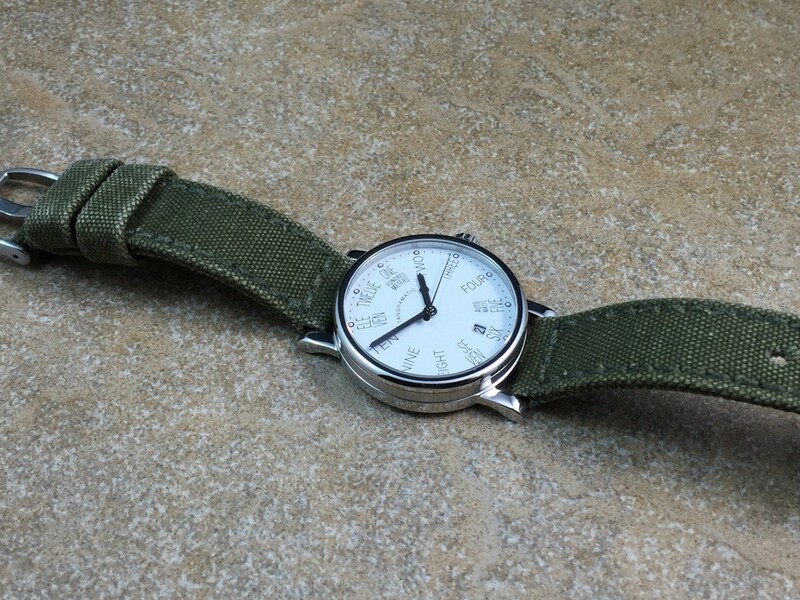 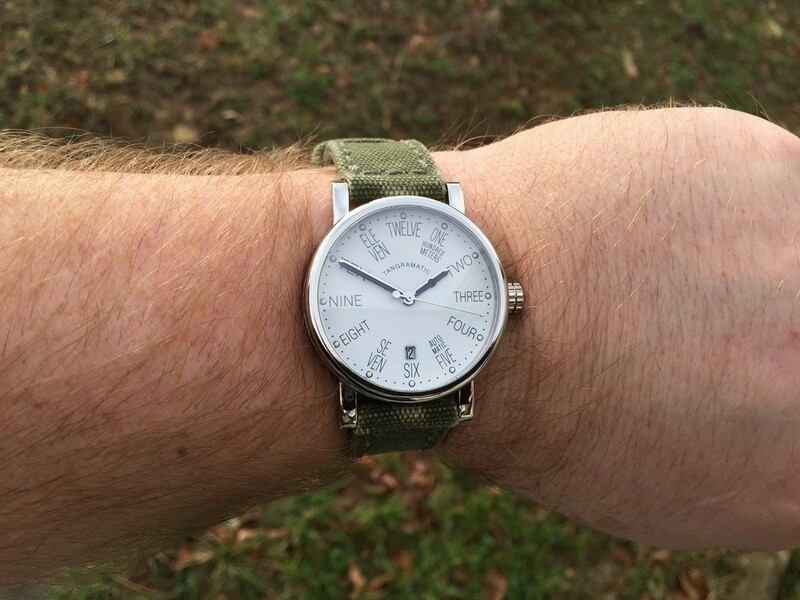 I really wanted everyone to see just how great of a watch the 39A can be for those of us who really enjoy custom straps available on the market. 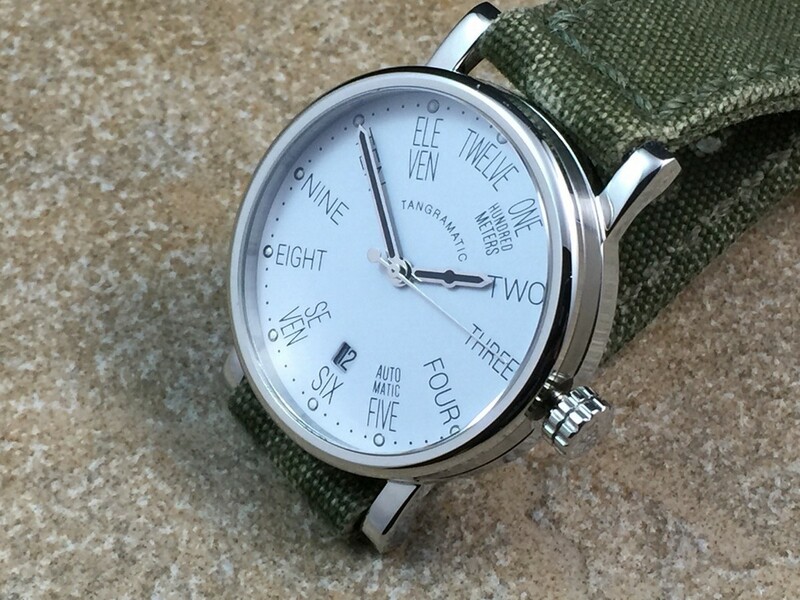 Of all the available options from Tangramatic I have to admit I like the mesh bracelet the best as I believe it dresses the watch up quite a bit, making it more suitable for the executive boardroom and a night out on the town. 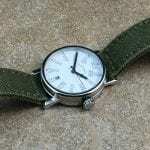 The mesh measures 20mm at the lug and doesn’t taper at all at the clasp. 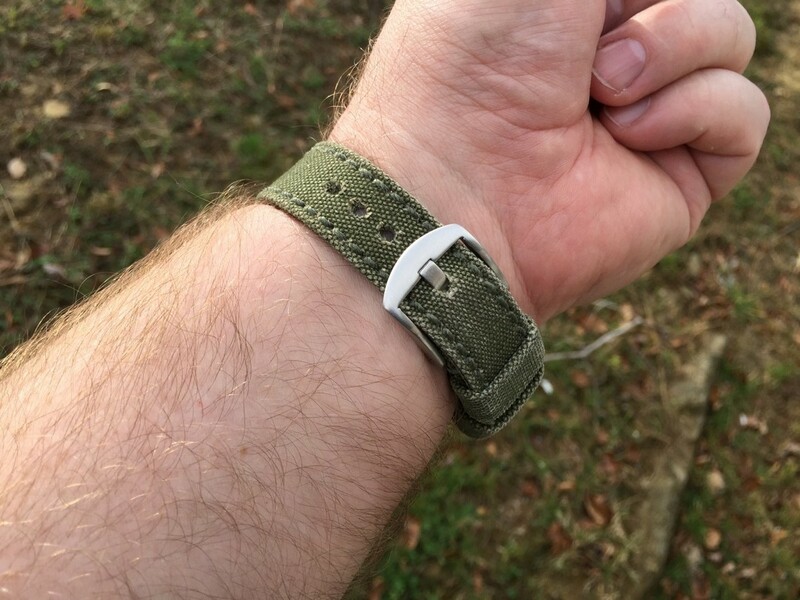 The various nylon straps are also 20mm all the way through, however, the leather strap options taper to 18mm at the tail. 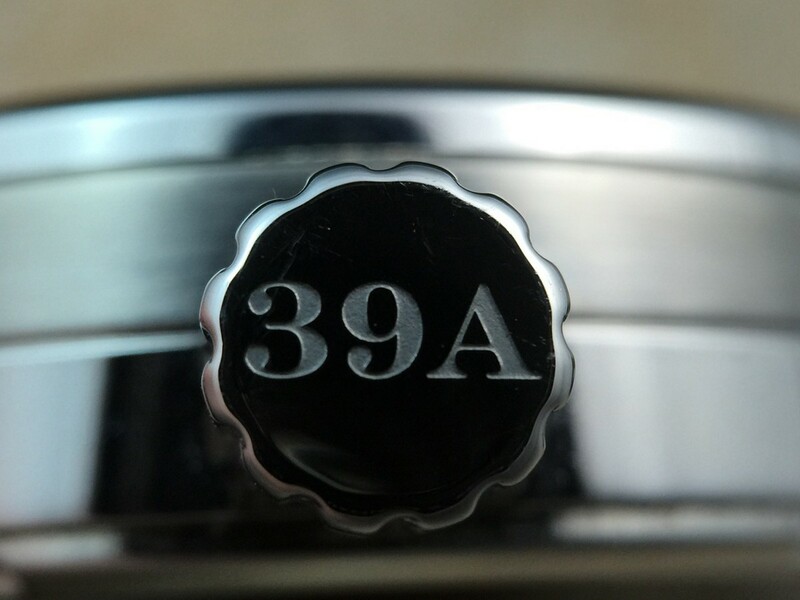 Truly based on your mood the 39A can be as dressy as you need but can also be made to look extremely casual. 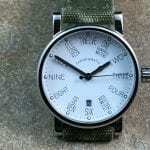 Traditional Bauhaus may a bit too bland for many people so in this instance rather than keeping it completely simple, Tangramatic has stepped outside the box by producing a Bauhaus style watch with just the right amount of modern flair. 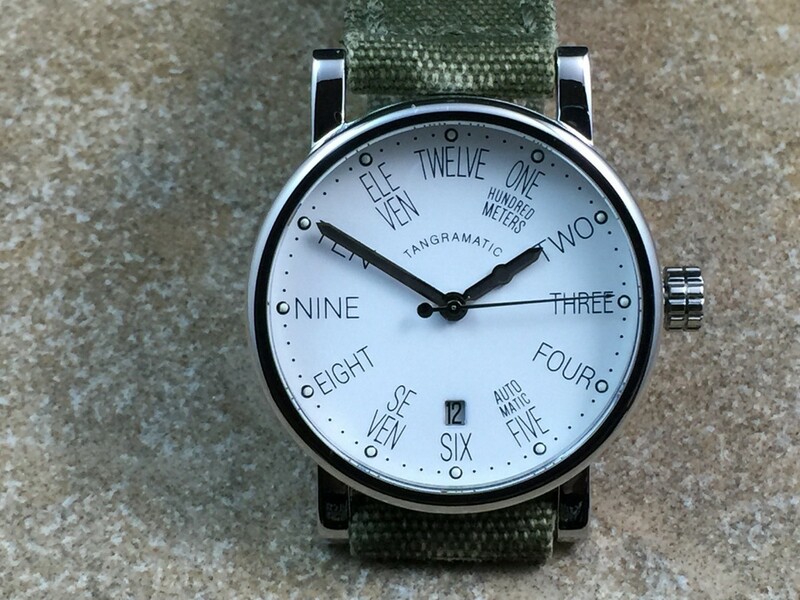 With the 39A, Tangramatic has produced a Bauhaus style watch at an extremely palatable cost while continuing to utilize quality components. 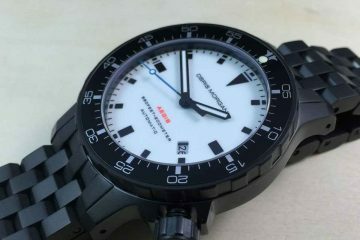 At $304 USD, I’m uncertain if anyone will be able to find an equivalent Bauhaus style watch with a sapphire crystal, art-deco case and dial, superluminova and a quality Miyota 9015 automatic movement. I am certain that many will appreciate the combination of minimalistic design and contemporary flair. 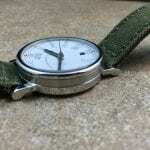 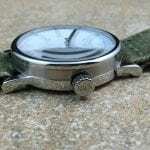 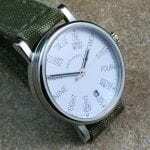 I would like to thank Tangramatic for working with WatchReport.com on this review. 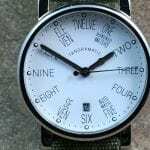 I would like to thank each of you for reading and ask that you take a moment to check out the brief YouTube video presentation on this model.